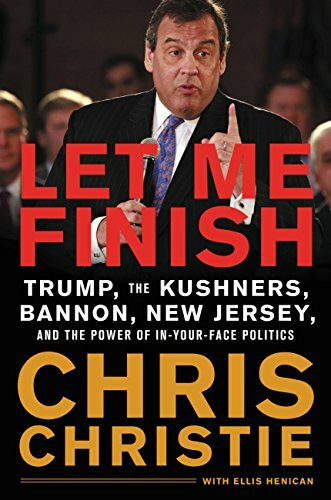 LET ME FINISH: Trump, the Kushners, Bannon, New Jersey, and the power of in-your-face politics, former Governor Chris Christie’s memoir and plea for a political future is not likely to change any minds about him. If you’re one of the 15% of New Jersey residents who admire Christie today as much as you did during the early aftermath of Superstorm Sandy, you will love the book and your admiration for Christie will grow. If you believe that Christie knew about and was involved in the George Washington Bridge scandal known as Bridgegate and that he closed New Jersey’s beaches for all but his family on the July 4th weekend in 2017, his book will tell you why you’re wrong. Christie is the victim of the two events that define his legacy so far; Bridgegate and Beachgate.